Oh, you'll disagree. How can you not? Ranking the players on the 2011 Red Sox' roster from 25 to 1 (based primarily on importance to the team's success) is a fun exercise to be sure, but also a challenging one. Where do you put Clay Buchholz at this point? Will Andrew Miller be a factor going forward? What about Josh Reddick? And at the front of the spectrum, how do you choose No. 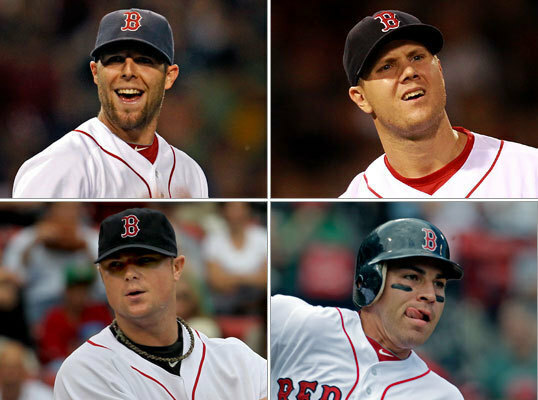 1 from Adrian Gonzalez, Jacoby Ellsbury, Dustin Pedroia, Jon Lester or . . . well, it's a nice problem to have. Here are our updated rankings, revised from Opening Day. As always, share yours at the end of the gallery.